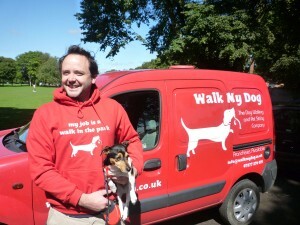 Walk My Dog was established in response to the rapidly growing need for quality and reliable pet carers within the UK. Over 50% of the British public share their home with a pet and people’s lifestyles are becoming increasingly hectic. Walk My Dog provides a comprehensive variety of pet care services to meet pet owner’s varied needs. All Walk My Dog Associates supply the core services of dog walking and pet sitting. Pet Care Fact: The National Association of Registered Petsitters (NARP) estimate that 750,000 UK households currently use a dog walker or pet-sitter. Note: Prices will vary by geographic location. According to the TUC, British workers work the longest hours in Europe. The burden of pet care is increasing which is fueling demand for pet care services such as those offered by Walk My Dog. Walk My Dog offers the opportunity to exercise personal talent or skills, achieve a flexible schedule, work with family members, remain in a desired geographic area, or simply to achieve personal fulfillment.